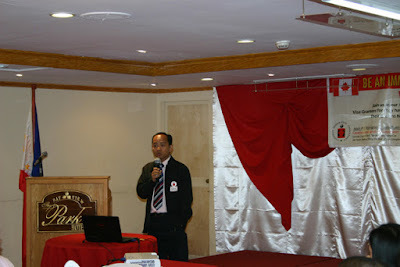 Live and Work in Canada Information Seminar | Malate, Manila - July 9, 2011 - Gateway to Canada | Canada Immigration Consultancy! It's time again for another Immigrant Visa Party! If you are interested to live and work in Canada and you want to know which program is applicable for you, then mark your calendar for next month's Immigrant Visa Party! I will be conducting an information seminar this coming July 09, 2011, Saturday 4pm at Aristocrat Restaurant in Roxas Blvd., Malate, Manila. Registration Fee is P500. To reserve a seat, click here. After the seminar, there will be a one-on-one consultation to address your specific concerns. You will also witness the awarding of visas to our successful clients and hear their stories. Canadian Immigration Consultancy has been in the industry for more than 20 years now. We have already sent thousands of Filipino Workers to Canada. You could be next!